​Concrete Your Due Diligence with Expert Inspection Services! Commercial Building Inspection Services with standard physical conditions and deficiency corrections report. Geared towards short term costs associated with land locked or single unit within larger multi-unit construction. Tenant or Owner sales and lease transactions where the building(s) is the focus more than the overall property. Comprehensive Commercial Property Condition Assessment (PCA) Services with Enhanced physical conditions and deficiency correction report with property history and research and abbreviated accessibility survey. Geared towards immediate expenses and reserve capital expenditures forward-looking 10 years or more. Recommended for purchases where first cost and long-term ownership and maintenance and operations are a concern. Sometimes paired with an Environmental Property Transaction Screen or Phase I Environmental Site Assessment (ESA). Retail and Industrial Property Inspection Services including Building(s) and grounds. Geared towards property purchase and first cost items in relation to a Retail or Industrial real estate transaction where the building may be already built for specific utilizations. Sometimes paired with an Environmental Property Transaction Screen or Phase I Environmental Site Assessment (ESA). Limited Commercial Property Inspection Survey and Due Diligence focused on Environmental concerns such as abandoned fuel tanks, petroleum leaks and chemical storage currently or previously on the subject or adjacent properties - ASTM Standard E1528. Specific research and inspection to determine whether potential or probable issues may exist and whether referral to an environmental assessment and testing company would be advised. Commercial Property Inspection Services including building(s) and grounds with standard physical conditions and deficiency correction report. Geared towards property purchase and occupancy and short term capital expense planning. Recommended for most property transactions where first cost is the primary concern. ​Sometimes paired with an Environmental Property Transaction Screen or Phase I Environmental Site Assessment (ESA). 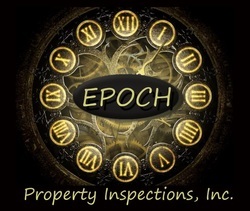 Commercial Property Inspection Services including Building(s) and grounds. Geared towards real estate property transactions and first cost items in relation to a commercial real estate purchase and/or investment. Inspection may be scaled and/or tailored to suit a particular set of guidelines agreed upon by buyers and sellers in lieu of adhering to any standard published guidelines. Often utilized for transactions conducted between partners or pocket listings and short sales. Commercial Property Inspection Services including building(s) and grounds with emphasis on Ownership maintenance and repair cost Planning. Generally procured by a building and grounds manager or property management company. Maintenance and expense planning for immediate facility needs as well as forward-looking anywhere from 10 to 12+ years. Commercial Property Accessibility Survey including measurements of heights and grades and dimensions and required actuation forces of installed site and facility components and comparison of results to the current ADA or other accessibility standards or requirements. requires specialized tools and apparatus for measurements.